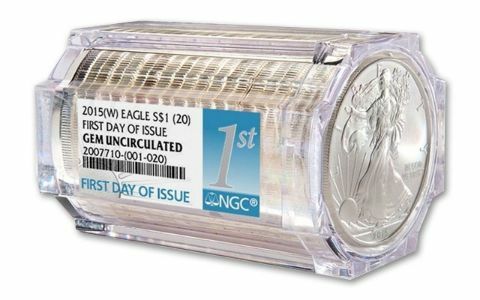 Gem Uncirculated Silver Eagle Rolls with a FIRST EVER ' First Day of Issue Designation! 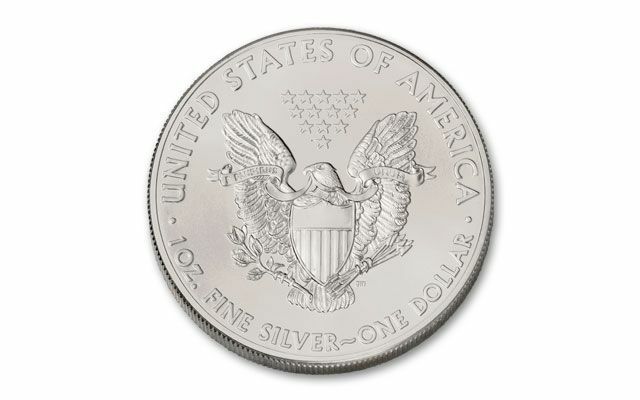 American Eagles are the largest silver coin ever produced by the U.S. Mint, and one of the most collected coins in the world. 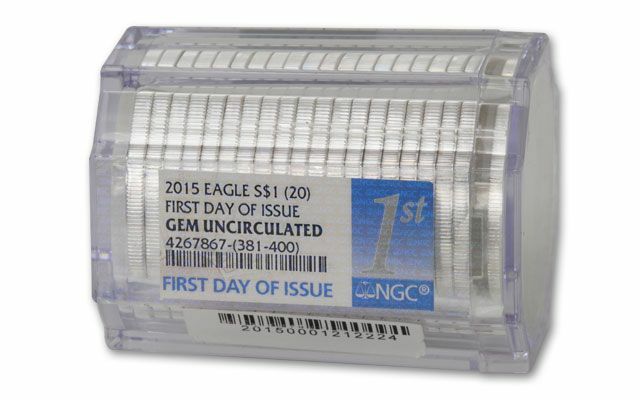 Our buyers recently secured a hoard of 5,000 rolls of 2015 U.S. Silver Eagles, which are certified First Day of issue and graded Gem Uncirculated condition by Numismatic Guaranty Corporation (NGC). Each contains 20 one-ounce Silver Eagles featuring the Walking Liberty design on the obverse and John Mercanti's heraldic eagle design on the reverse. 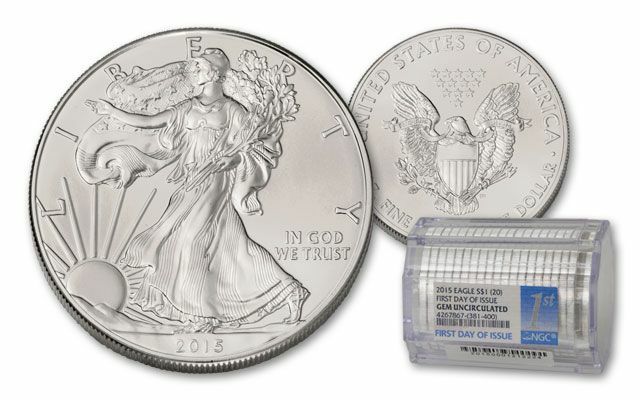 Only small fraction of the total mintage of Silver Eagle rolls will carry this First Day of Issue designation. 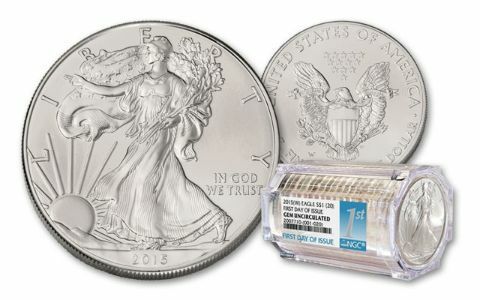 Some collectors will be keeping these rolls intact, others will be breaking them down to have them graded. 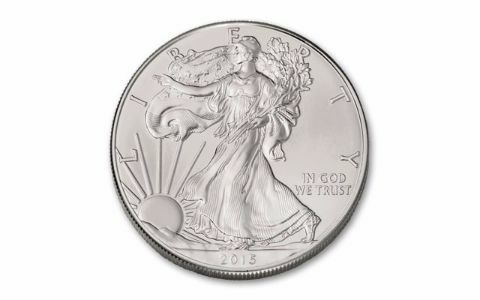 This versatility will appeal to all types of numismatists. Either way, please be aware that these aren't expected to last long. Order yours to grade or stash away—but whatever you do, seize them before the last of them disappear!